Victoria has experience in a vast range of personal injury cases and has an expanding court and paper practice. Victoria has provided advice and drafted pleadings in an array of cases including complex and multiple injury cases. 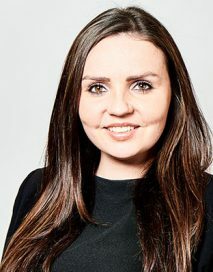 Victoria has appeared for Claimants in LVI cases and has a good working knowledge of the cost rules across the different and ever changing cost regimes. Victoria has experience in CICA cases including drafting intricate schedules of loss and she is familiar with the CICA appeals process. Victoria is recognised for her thorough approach to all cases both in court and on paper. Victoria also undertakes general civil work and has a particular interest in road traffic cases. She has represented families and insurance companies at Coroner’s inquests and this is an area she would like to develop. Victoria is experienced in both public and private law cases under the Children Act and proceedings under the Family Law Act. In public law proceedings Victoria represents all parties including Local Authorities at all stages of proceedings. Victoria has experience in representing respondents accused of inflicting sexual abuse on children. In private law proceedings Victoria represents clients from the FHDRA through to contested final hearings and has been involved in a number of complex cases including successfully representing a mother in her application to extinguish a father’s parental responsibility. Victoria also acts in contested applications for Non-Molestation Orders and Occupation Orders, including applications under s.53 FLA 1996 for the transfer of tenancy. Victoria prosecutes and defends in the Crown Court, Magistrates’ Court and Youth Court in a range of criminal matters; including violence, drugs, dishonesty and driving offences. Victoria prosecutes on behalf of the CPS, National Probation Service and Electronic Monitoring Service. Victoria acts in regulatory matters including quasi-civil matters in the Magistrates’ Court such as HMRC condemnation proceedings and cash seizures. Victoria advises in private prosecutions such as those brought by Local Authorities, including advising on sentence, costs and appeal.